The 43rd edition of the DCAU Review has the boys discussing the DCAU’s first incarnation of the Legion of Doom in the episode “Injustice For All.” Your hosts, Cal & Liam talk digital animation vs. traditional animation, compare the voice casting for supervillain Gorillas and revel in the return of everyone’s favorite Clown Prince of Crime. Plus, the Good Brothers give you their full scorecards, on this week’s episode of the DCAU Review! As last week’s crossover episode alluded to, the good brothers detail a very special crossover event in this week’s episode of the DCAU Review. As promised, episode 19 covers “World’s Finest”, aka the first official Batman/Superman interaction in the DCAU. On this week’s episode, the fellas talk the voice acting “Dream Team” assembled for this episode, some inconsistent and rather infuriating animation, how this episode still holds up under the pressure of nostalgia, plus the introduction of THREE new sound effects! All of this and your weekly episode scorecard! Stream or download the latest episode below or on the Google Podcasts App and be sure to subscribe to us and leave us a review on iTunes! Continuing with their theme episodes, Cal & Liam start on the road to Apokolips in this, their 13th episode. The brothers review Tools of the Trade, which lays the groundwork for some of the most intense episodes of Superman: The Animated Series, with the introduction of Jack Kirby’s Fourth World characters. 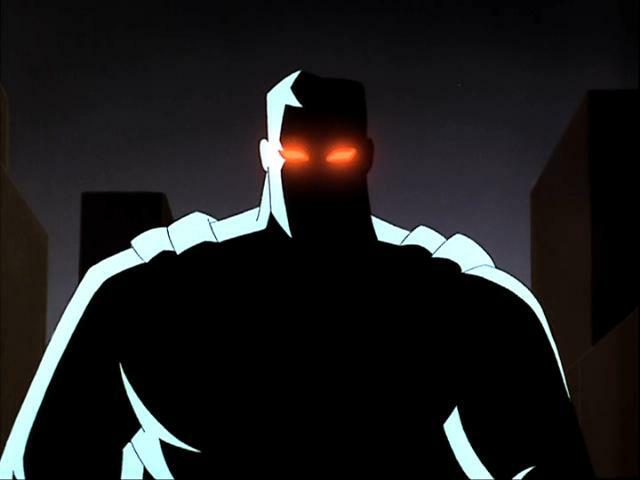 While this episode deals more with what’s happening on Earth, it gives viewers a sneak peek at future mega-baddie Darkseid. The second reviewed episode, Father’s Day, introduces the audience to Darkseid’s son, Kalibak and give Cal & Liam a chance to discuss whether or not he’s a sympathetic character. The brothers discuss the normal categories as well as the #DumbKents, Darkseid’s cool heel bad guy, and a lack of musical themes for villains thus far compared to Batman: The Animated Series. Stream or download the latest episode below and be sure to subscribe to us on iTunes! Episode 12 of the DCAU Review is finally here! This week’s episode is the brothers’ first themed episode, featuring a Lex Luthor and Kryptonite theme! Cal & Liam review A Little Piece of Home which introduces the only known element in the universe that can kill Superman, Kryptonite and then following this, they review The Way of All Flesh which features the series debut of the Kryptonite powered adversary, Metallo. The boys discuss the difference between Clancy Brown’s subtle Luthor versus Michael McDowell’s John Corbin/Metallo, how to effectively make Superman vulnerable, and more extreme violence against cartoon robots! All of this, plus Metallo puns and #CapeMovement on this week’s episode!